MissBellydance.com will be at DragonCon 2014 this year! We’re thrilled to meet up with fans and friends in person. We’ve spoken to many of you online and on the phone. This is an exciting and convenient time to grab your favourite MissBellydance costumes and accessories in person! We’ll have our most popular items in the upstairs showroom of the America’s Mart – section 444 & 445. We have a lot of new styles, new costumes, modern dance wear and lifestyle fashions from which to choose. Buy your favourite costumes right away or you can try on items, get measured and have them custom made to your frame right there at our booth. You’ll also have a wide range of fan veils, bracelets and jewelry from which to pick. Do you have a favourite item, a costume you’ve had your eye on and you really want to buy it? Email us via FB and send us your personal email plus the name of the costume so we can arrange a fitting for you there at the con. Like certain rings and necklaces? Let us know, we’ll bring them to this show! 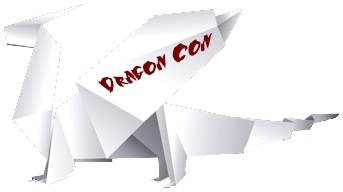 DragonCon offers everything from anime to traditional media and beyond. We’re more than excited to see everyone again and can’t wait to share our costumes with you at great prices! Get your membership and come on over! Need a place to show off your fashion? Get over to the DragonCon Silk Road show on Saturday afternoon – 4pm – for a showcase of Eastern and Modern Silk Road dancing. This is an annual show directed by Kira Lang, teacher, choreographer, performer and friend to the Atlanta Bellydance Community. It’s a can’t miss event! Let your raqs wardrobe reflect your personality. New Arrivals for Fall at MBD!